For some people, gambling starts as entertainment and quickly becomes an addiction. Always certain the next spin or hand will be the next big jackpot. Besides casinos, other opportunities to gamble include lottery tickets, dog or horse racing, online gambling and informal sports betting. Even though we don’t have any casinos in Texas, they are in every state that surrounds us. First signs of trouble are when we start getting cash advances on our credit card to gamble. And when we’ve reached our limit, we start pawning our valuables or use our credit cards to buy items to pawn for cash to gamble with immediately. Many gamblers use casino credit or markers to gamble. This line of credit with the casino can be done online, fax or in person. This can quickly add up to a debt that is more than you are able to pay. 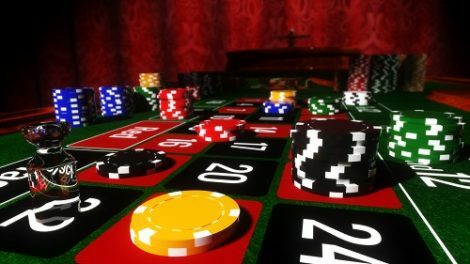 Gambling debt cannot be discharged if the lenders can prove “willful and malicious injury.” As long as you didn’t try to defraud the casinos or intentionally cause gambling losses, your gambling debts should be able to be discharged in bankruptcy. In Nevada it can be a felony not to pay your gambling debt, don’t assume you can’t be arrested in Texas for felony warrants out of Nevada for not paying gambling debt or markers. When you file the paperwork for bankruptcy, you will be asked to disclose your gambling winnings and losses. If you fail to mention your winnings you could risk your bankruptcy being denied, a complaint being filed or even criminal prosecution for hiding your assets from creditors and the bankruptcy trustee. Most communities have 24-hour gambling helplines. Gamblers Anonymous offers help to those with gambling disorders and information for their family and friends. If you have gambling debt and need a solution to make it go away legally, contact a McAllen bankruptcy attorney to discuss what options you may have.